I now that there is lots of OBD2 scanners available on online store and it may be hard to choose right product. But, don’t worry, we’ve chosen the best OBD2 scanner to keep handy in case things ever go wrong. In the late 1960s, the State of California initiated the inclusion of emission control systems on all cars to mitigate smog problems. In order to meet these standards, vehicle manufacturers adopted electronically-controlled fuel feed and ignition systems. They utilize sensors to calculate engine performance and to regulate emission control systems to minimize pollution. In 1988, the Society of Automotive Engineers (SAE) introduced a set of standards for on-board diagnostics (OBD). A few years after, these standards were expanded and formally implemented by both the EPA and the California Air Resources Board (CARB) on January 1, 1996. They are what we refer to now as OBD2. What’s in it with OBD2? Why do car owners need to use an OBD2 scanner? What to Look For When Buying an OBD2 Scanner? Do you want a basic code reader or a high-end unit? Can your OBD2 scanner be upgraded? Are you likely to encounter vehicle-compatibility issues using this scanner? What type of OBD2 scanner do you want? What are the most popular OBD2 brands in the market today? How to get customer support for the code reader or auto scanner? How to examine the warranty offered by the manufacturers? How is an OBD2 scanner installed? OBD2 has been mandated on all cars manufactured since 1996. Compared to OBD1, it offers more improvements in terms of capability and standards. As expected, both consumers and professional auto mechanics use it heavily in detecting car problems which could lead to serious issues like low-fuel economy, low-performance, and heavy emissions. Thanks to the standards mandated by the government, today’s cars are now equipped with computerized components that make it easier for consumers or professional auto mechanics to determine possible problems. Typically, a car’s dashboard is illuminated by the brake light, engine light, or other warning lights to alert a driver about a possible issue with the car. Check engine light alert a driver about a possible issue with the car. Instead of right away bringing a vehicle to an auto mechanic, owners may use a car diagnostic tool or scanner, which provides access to data from the engine control unit (ECU) and offers information about troubleshooting problems inside a vehicle. Often, they come along with some helpful instructions, thus they’re easy to use. Performs a full scan of the car’s entire electronic system. Most vehicles, nowadays, are integrated with computers that control most systems like the automatic transmission, ignition system, fuel injection, and more. Sensors all over the car continuously collect and send out information to the car’s main computer modules. Because of this, car’s control systems easily detect problems and alert drivers about any issues. Detects problem codes which generally mean possible malfunctions. Car diagnostic tools, which provides access to data from the engine control unit (ECU), return any relevant trouble codes detected from the car. For those who are new at using scanners, they may check out the software CD or manual that came along with the device. They may also go online to find out the meaning of a trouble code and see what needs to be done to resolve it. Very helpful at passing an emissions inspection. A check engine light would not allow a car to pass an emissions readiness test. Fortunately, most auto scan tools now come along with a unique feature called Inspection and Maintenance (I/M) readiness that helps determine if a problem has really been resolved or not. Straightforward to use. Makers of auto scan tools have done a great job of making their respective scanners easy to use. Aside from the CD software and manual, a database of known fixes may also be found online. Steps on using auto scanners are also available on the Internet for first-time users to look onto. Peace of mind for drivers. Auto scanners can perform a quick check of the control systems of a car to determine a problem code. Car owners, on the other hand, would know if it’s something that can be easily fixed or if it requires professional assistance. More savings for car owners. The availability online of some fixes to common car trouble codes has made automotive troubleshooting more enjoyable and exciting. This empowers drivers and makes them more knowledgeable on how their cars work. If a car is successfully fixed, car owners won’t have to bring over a car to repair shops. This may mean savings as they would be able to avoid paying professional fees. Looking for the best OBD2 scanner that could meet the needs of every DIY and professional technician can be very exhausting. A lot of homework needs to be done so as to properly understand the features offered by a certain product. Often, it is not sufficient to go over the product information of various suppliers’ OBD2 scan tools. Users would have to resort to product reviews and take into consideration the personal experiences of other people. In most cases, the best OBD2 scanner is something that fits the requirements of the vehicle that’s in question. Moreover, it offers a good balance of features and price. It’s important to take note that a basic code reader has very limited functions. It merely lets users know about a trouble code or a car problem that needs to be diagnosed. This is often preferred by those looking for a low cost device. One downside with a basic code reader is the fact that it’s designed to work only with the most common car models. Live Data — Shows real-time information about engine sensors and car performance levels. This feature works even when driving. Often, low-cost scanners cannot be upgraded. It’s, therefore, important to invest on the more expensive higher-end units or professional scan tools which give the option to update. The ability to update ensures that the scanner is going to work even with newest vehicles available in the market today. Important note: Each update comes with a price, so it’s always good to inquire beforehand how much it may cost. As mentioned earlier in this article, OBD2 utilizes five basic signal protocols. Although most manufacturers would claim that their device works with most OBD2 vehicles, it’s still best to double check the tool. This is due to the fact that not all scanners are compatible with all computers installed in cars. Bluetooth auto scanners can transform smartphones, tablets, or computers into an advanced scan tool that provides fast and reliable live performance data. Handheld auto scanners are handy and powerful units that can be used by mechanics to diagnose engine, brake, and transmission failures. Often, they have clearer information displays and colored graphics. Their kit usually includes a power supply, power and data cable, a battery pack, and more. Actron is known for its scan tools and code readers that are both quick and accurate when it comes to reading data. One of the most popular features it has introduced in the market is CodeConnect. The technology is a database of over 4.3 million verified fixes for diagnostic trouble codes that cause check engine light issues. Located in New York, Autel USA specializes in diagnostic tools like a wide range of basic OBD2 scan tools and related accessories. Based out of Milwaukee, Wisconsin, the company prides itself of providing quality electronic products like scan tools, infrared thermometers, anti-shock hiking poles, and more. Innova has over 15 years of experience distributing auto scanners directly from their headquarters in California. Their products are highly popular for their accuracy and durability. Founded in 1992, Launch Tech specializes in the development and production of a wide range of auto-diagnosis, auto-testing, and auto-cleaning service solutions. Lemur Monitors is the company behind BlueDriver, a premium OBD2 scan tool for Android and iOS devices. BlueDriver is a popular choice among professional auto mechanics. Founded in April 2002, ScanTool emerged to be one of the most trusted providers of smartphone and PC-based scan tools for OBD2 vehicles. Their scan tools are mostly compatible with various apps and software. Moreover, they’re known for their outstanding customer support service. The massive production of code readers and auto scanners leaves customers with a whole bunch of options. Often, products offer almost an identical set of features, thus prompting buyers to also look onto some other areas that matter most. One aspect in business that can’t be taken for granted is customer service. Support information can be readily found on every manufacturer’s web site. Often, they include technical assistance through forums, a download center for firmware and software updates, and answers to frequently asked questions (FAQs). 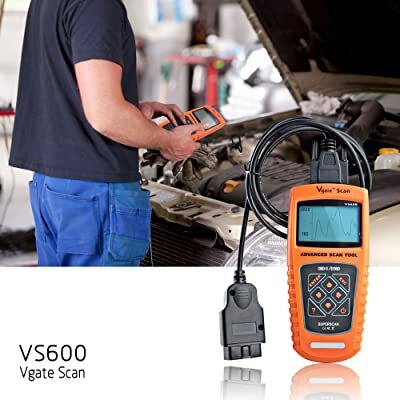 In addition to this, the factory service manual is also a must-have most especially if the scan tool does not provide diagnostic trouble codes and definitions. Warranty information about the product can be found on the manufacturer’s web site or from the direct seller. Proper installation of the driver software and the appropriate app is important to be able to start using an automotive scan tool. Here are the install an OBD2 steps that need to be followed. 3) Add the Bluetooth device and pair it with Windows. 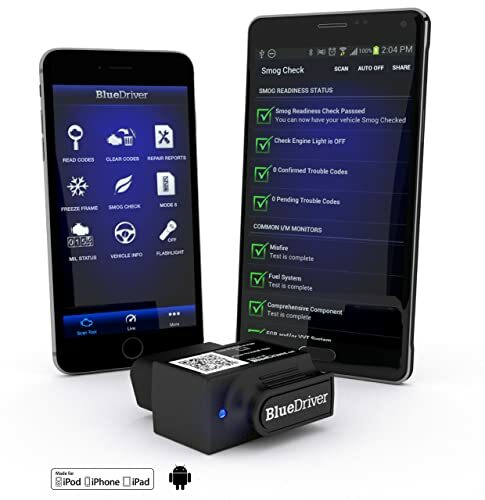 4) Start the OBD software or app and connect it to the car. 3) Put the key in the ignition and turn it forward to the “ON” position. Hopefully, this OBD2 scanner buying guide has been helpful in finding out the best scanner that would suit your needs. If you would want to know more about the best OBD2 scanners available in the market today, click here. Using the right auto scan tool would surely help car owners save a lot of money in repair fees. Instead of having a series of scans ran in the shop, they may perform the diagnostics themselves and then let the professional technician directly address the issue detected by the scan tool. However, choosing the best obd ii scanner may be a tedious task for many. Fortunately, this can be simplified by wisely performing product research with the help of some reliable sources. Aside from word-of-mouth, there is a lot of information online that can serve as guide for car owners when looking for a scanner that would work perfectly with their respective vehicles. What’s necessary for car owners is to understand what they really need from their OBD2 scan tool and how it can work to their advantage.